Niagara is a neighbourhood located south of Queen Street West; it is bordered by Strachan Avenue to the west, Bathurst Street to the east, and the railway corridor to the south, and so named because Niagara Street runs through the centre of it. The eastern portion of this area (with what is now called the Fashion District) was first planned as the New Town Extension when Toronto was incorporated as a city. The area was formerly working class, with many employed in industries located along the CN and CP railway corridors. In recent years, it has seen an explosion of new condominium loft and row house development. The Fort York neighbourhood area consists of the former industrial lands immediately east and south of the historic Fort York site where Toronto began in 1793. The current Fort York Armoury was built in 1933, and still houses several units of the Canadian Forces. 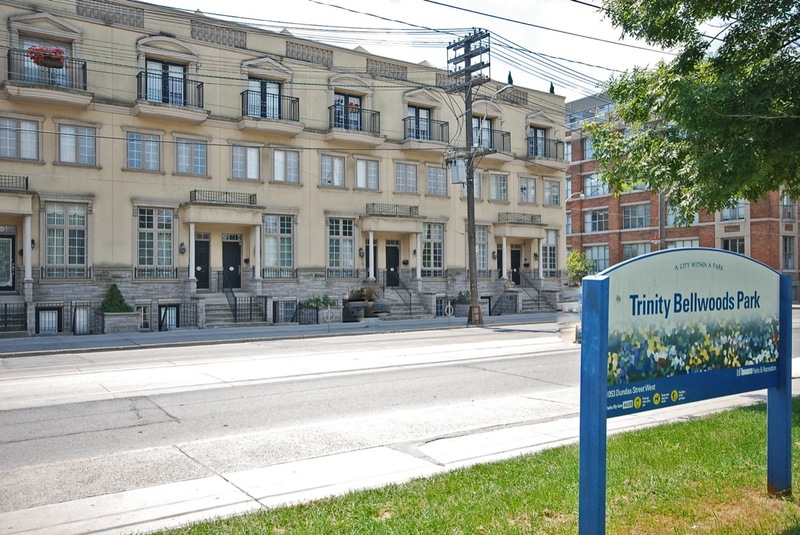 The neighbourhood is one of Toronto's most historically and cultural sensitive areas. The Fort York Neighbourhood Public Realm Plan is the next step in the planning and design for the Fort York Neighbourhood. The area's redevelopment plan was finalized in 2005, and establishes guidelines for an overall vision of the emerging neighbourhood. It set out the location of public spaces, density, height and built form so that the area's streetscapes, open spaces, parks and pedestrian areas are interconnected with private development. Niagara is well served by public transit. King Street West is served by the 504 King streetcar, which with an average of 50,000 passengers per day is the busiest surface route in the city's system. Fort York is served by the 509 Harbourfront streetcar, which operates between Union and Exhibition Place running along a private right-of-way on Queens Quay west to Bathurst and then along Fleet Street.